Plan a visit to one of the largest museums of modern and contemporary art in the U.S., The Museum of Modern Art San Francisco. Admire works of art from artists around the world like Andy Warhol and Frida Kahlo. Enjoy both an indoor and outdoor experience with their indoor art exhibits and their outdoor sculpture garden. 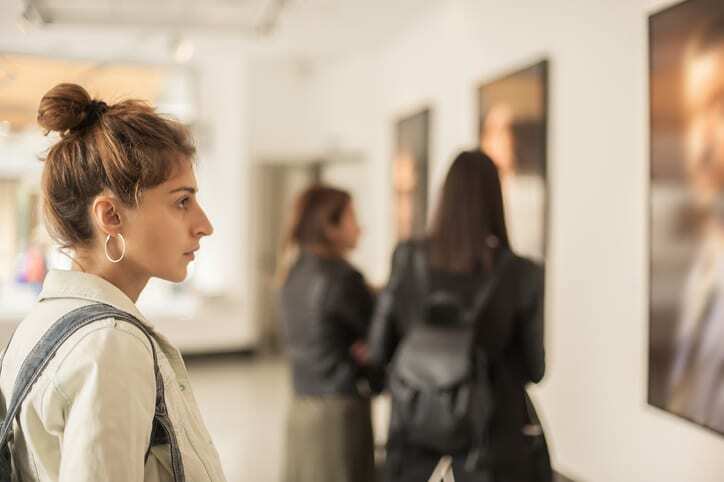 With incredible views of San Francisco and new exhibits introduced regularly, there is always something to see at the San Francisco Museum of Modern Art. There are three on-site eateries and cafes, perfect for afternoon lunch. General admission tickets are $25, with free admission for children 18 and younger. The museum is open throughout the week but closed on Wednesdays. Located one mile from the Golden Gate Hotel, transportation to SFMOMA is quick. It’s less than a 10-minute walk downhill. If you are driving, there is a parking garage available on Minna Street.